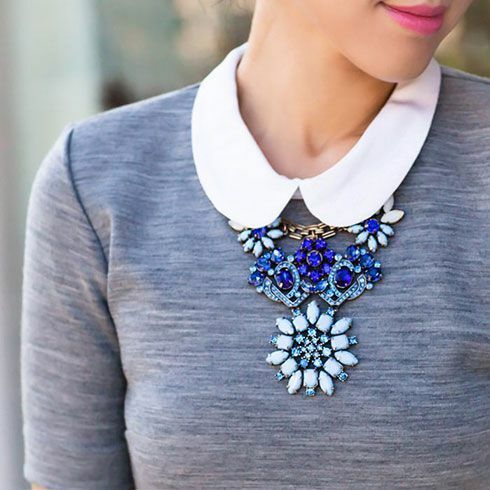 7 Ways To Style & Rock In Statement Necklaces!! Accessories are extremely important to amp your outfits. They not only add drama to your basic outfits but they also look amazing. There are different types of accessories that everyone uses to adorn themselves. Most people prefer accessorizing themselves with chunky necklaces which are also known as statement necklaces. Statement necklaces easily turn simplest of the outfits into party outfits. They can worn with all types of clothes and are suitable in every environment. Statement necklaces can be monochrome and multi-coloured. They are extremely bold and pair best with plain outfits. It can be worn with something as simple as t-shirt and jeans and can also be paired with a red carpet worthy gown. You can wear monochrome statement necklace and pair it with outfits of various colors. You can never go wrong with colors and when paired with monochrome necklace then your entire look is more lively and even bright. You should prepare your regular everyday outfits in a way that they not only grab you attention but also make you look chic. Best way is to pair up your simple outfits with a sparkling statement necklace for just the right amount of jazz. The beauty of including statement necklaces in your jewelry collection is the fact that they can be worn with formal outfits as well. 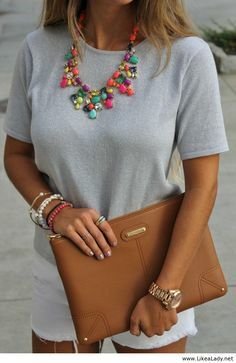 You can wear chunky statement necklace to your office as well if you know how to pair them together. Always wear a pastel colored statement necklace with your professional outfit and make sure the colors coordinate well together. 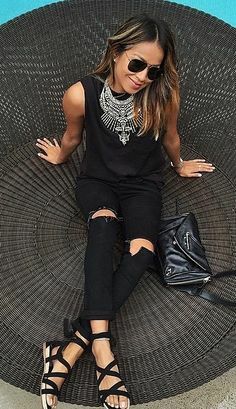 Always opt for a bold and attention seeking statement necklace when you plan to wear all black outfit. It will make your outfit look fresh and classy. For chic look you can always make sure the necklace you are opting for has rhinestones. If you want to loo extremely classy and sophisticated even while wearing casual outfits then opt for the necklaces which are made with pearls. 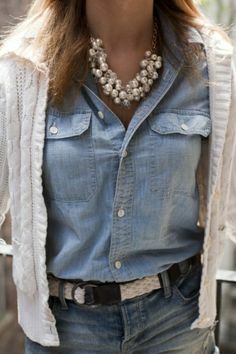 Pearls makes your even most simple outfit look elegant and modern. Planning a night out! Then you should definitely go for heavy and chunky necklace to coordinate with your outfit. It will make you look unique and help you catching the right amount of attention. You can always adorn yourself with floral necklaces to look even more feminine for that delicate and classy look. Floral necklaces are always in fashion and they can make even the boring of the outfits looks impressive.